Financial abundance is everything in the materialist world. Money has the greatest power of ‘general acceptability.’ Everybody wants to end their sorrows by accumulating wealth and achieving financial freedom. Many of us look for solutions to our financial crisis. Most of the people believe that they can lead a decent life by becoming financially sound. Being a life coach, I come across many people complaining about their financial status and everyone wants to have a rich life and status. Often we compare with the rich people and their lifestyle, but we ended up with the conclusion that we are not capable of getting the financial abundance like others. In fact, you can also get the financial freedom like others. The universe has everything to give you including financial abundance. Adopt a positive attitude and mindset to achieve your goals. If you are not able to get any directions to get your problem solved, you could consult with a life coach, who will help you to overcome your financial problems. Life coach will help you to see the gray areas in your life that you are blinded off. I deal with clients and help them in addressing their financial crisis by showing them the right way to live life in order to get the financial abundance. I am sharing the following five ways those will help you to rid of your financial crisis and lead a good life. You can manifest financial abundance by training your mind, it is one of the effective methods followed by many people. This sounds easy, but too difficult to follow. The Universe will help you in achieving your goals and you need to be sincere in your efforts to get positive results. I would recommend you to practice it daily so that you can send messages to your subconscious mind. Literally, you need to change the way you think about money and about yourself. Most of the people fail in achieving the results because they fail to train their minds. Things will change automatically when you wholeheartedly believe positive about your financial acumen. I would say count your blessings every day than your problems. This will give you a new direction to live happily and this could be the best way to achieve financial freedom. You need to develop an attitude of showing gratitude towards each and everything you have in your life. You can multiply your happiness and wealth by expressing gratitude as per the law of attraction. Thank everyone for their affection, care, service, and assistance. Never feel that you are poor, see around you, things are there for you and for your use. Abundance is everywhere, wherever you go, you’d see this. Feel fortunate for being in the world and surrounded by the facilities you are getting. In order to end your financial sabotage, you need to check as the problem areas. You need to check – how your friends suggesting you regarding your problems. Stay away from the company of negative people, they could be your friends, family members or anyone. But, by following or hearing the negative approach, your blocking your financial abundance and freedom. Instead spending time with people who think negative, you can start joining the like-minded people – those are more positive and having some aspiration to achieve something. Interact with such people, you will get new ideas and inspiration, which would also reflect your financial position as well. 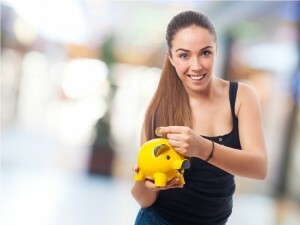 You need to dream about financial abundance, this will help you to achieve financial freedom. Most of the people do not dream about financial freedom, they instead focus on their income and their responsibilities. Things will not change all of sudden, but it will have an impact on our life. Make a list of things you are going to have once you achieve the financial abundance. All successful people do the same, you need a plan in advance for the things you’d like to do. This will help you to achieve your dream and manifest financial abundance. I would recommend you to follow this principle of detaching yourself from the outcome of your actions. You need to perform your Karma, even do not expect anything out of it. You’ll be getting an outcome for sure for your actions, but your expectations would land you in sorrow. By doing so you will be relaxed and free from any other thoughts in your mind about the actions taken by you. Always think that you need to focus on your actions, leaving the outcome to the almighty. Once start following this principle, you’ll start getting the rewards from the universe. These five ways will help you to achieve financial abundance and freedom. These are very simple to follow but need consistency in approach to achieve your goals.